From the market to your plate - no more secrets with our English speaking Vietnamese Chef. You will have a great opportunity to try cooking dishes with Vietnamese flavours. And you can pick fresh ingredients by yourself and our Chef will instruct you how to make a delicious plate. Enjoy it now! Enjoy a 1 hour traditional puppetry art show - a very special moment for grownups and children alike. Take a ride on a cyclo for an adventure winding through the sights, sounds & smells of this historic metropolis - the ideal way to experience the city at night. Unforgettable 2 hour scenic cruise along the Saigon River in a traditional junk & Vietnamese / Western dinner. The town of Cu Chi is a district of greater HCMC and has a population of about 200, 000 (it had about 80, 000 residents during the American War). At first glance there is little evidence here to indicate the intense fighting, bombing and destruction that occurred in Cu Chi during the war. To see what went on, you have to dig deeper – underground. To our tour, we will give you much knowledge about history of Vietnamese peope in war. You will have an opportunity to discover tunnels underground and much more understand life these days. Considered as the financial center of Vietnam, people from over the country move to Saigon for many reason from study to work, that makes Saigon's culture & cuisine so rich and diverse. 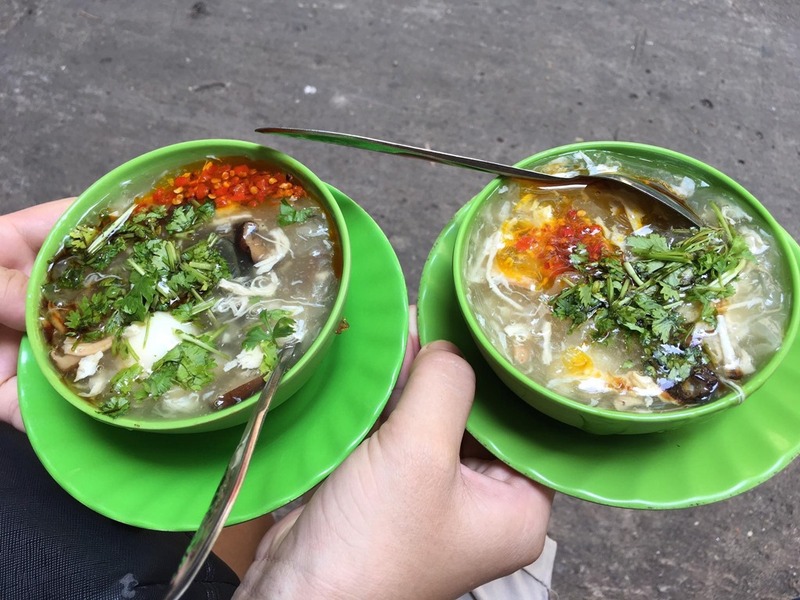 Our tour today offers you an interesting way to experience some of Saigon's specialties that favored by locals Do you want to experience feelings on a scooter and taste those flavors in Sai Gon. Our tour will serve you and give you a chance to enjoy traditional food and famous coffee of Vietnam. Why don’t you join with us? This tour is combination of discovering modern city – Saigon and learning about Vietnam’s history. You will be taken to the highlights of Saigon and then visit Cu Chi tunnels underground and discover its uniqueness. Unlike other tours, this tour will take you discover Sai gon on foot. You will temporily forget automatic transportation as scooters, cars… to walk with us and then you will be much more healthy after this. This tour will give you a great opportunity to enjoy many kinds of food in Sai Gon such as: Banh Kot, Bot Chien, Banh Mi, Bo La Lot….Don’t miss this chance to join with us! 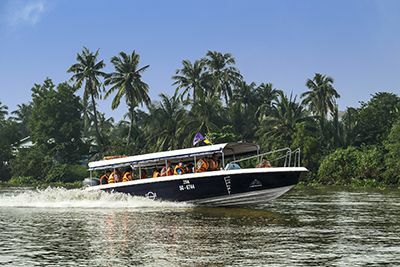 Travel to Cu Chi as a VIP on one of our modern speedboats arriving hours before the large tour groups. Your English-speaking guide will explain the life along the banks of the Saigon River as your boat gracefully slaloms through the water hyacinths. After the scenic one-hour boat trip our guide will take you through the historic Cu Chi Tunnels. A light breakfast will be served on the way to Cu Chi and a traditional Vietnamese lunch will be served after visiting the tunnels. This tour is all-inclusive and hassle free. There are two options for Cu Chi Tunnels tour, go and back by boat or have a combine van & boat trip. Ho Chi Minh City Tour Ho Chi Minh City tours and things to do: Check out Viator's reviews and photos of Ho Chi Minh City tours. Hiding inside a small alley on Nguyen Du Street in District 1, Ho Chi Minh City, is a stall that has been serving delicious Saigon crab soup for 24 years. Saigon Cooking Class will guide you to learn the local foods in a great way to experience the fascinating local culture with healthy Vietnamese food. Saigon is an ideal destination for your holiday because this bustling city always offers numerous activities for tourists. This article will help you prepare well for your motorcycle tour Saigon. Ho Chi Minh city is the largest city of Vietnam. Here is famous for classic architecture with many places built in the last century such as Notre Dame Cathedral, Central Post Office, Reunification… Those destinations will be concluded in this tour. After joining with us, you will have an overview about this modern city. You will be how much it has been developing and changing for many years. Only in 2,5 hours, we will give you an interesting experiences about a busy Saigon. You will visit trendy hanging-out places of Saigonese and feel closer to local people and nightlife here. Besides, street food in Sai gon is a thing you shouldn’t forget to taste. It’s really exciting for you to try. Book it now!